I tend to make cards that have lots of layers and I like a certain “fullness” to them (clean and simple I’m not!) so I tried to design a sketch that was “me”. I still kept in mind that I was designing a sketch for Freshly Made Sketches which is a cleaner style than I sometimes make. You will notice there are still layers, but I did hold back on what I initially had! 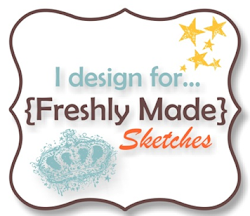 We would love for you to join us this week at Freshly Made Sketches – head over to the challenge and check out the beautiful cards the Design Team have created this week. Thanks for stopping by! Narelle, I love your sketch and your card is such a beautiful work of art! Yes, it is clean, but I love all the layers and how they really emphasize the lines of the sketch. Really pretty. I love the surprise of the color in the second banner – gorgeous effect! I LOVE this sketch and have already made another card with it! 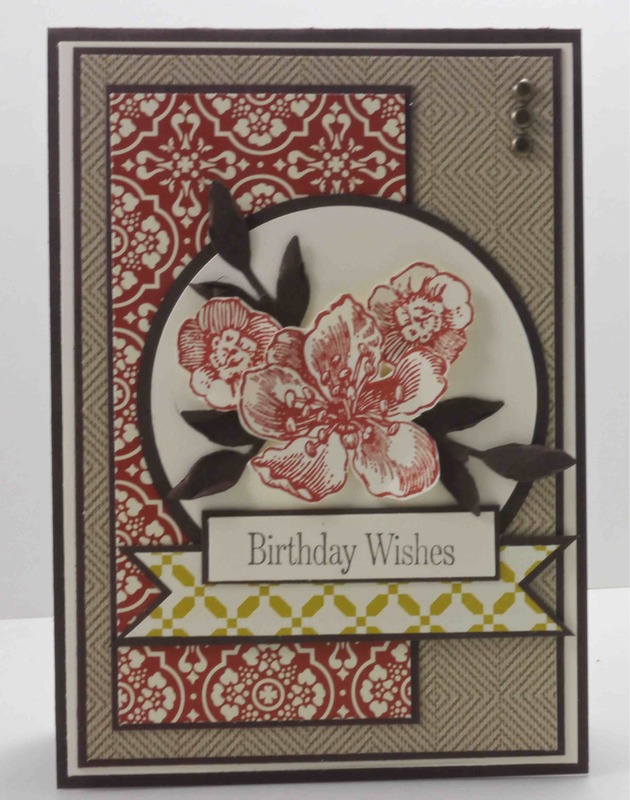 Your card is just beautiful….I love these papers and you’ve used them to their best advantage! I am so glad you got over your fear of designing a sketch, LOL! Great sketch and your card is gorgeous. Love these papers too. 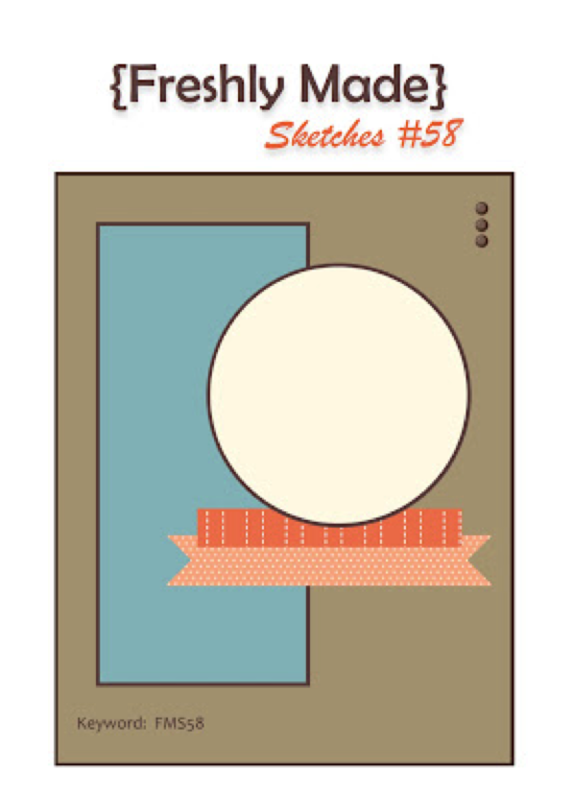 Your sketch is wonderful – sorry I “skewed” mine~! And your card is just beautiful – so elegant! Love the Summer Starfruit pop of color! It’s a fabulous sketch, Narelle! As you can see from the samples, it’s versatile and can do such a wide range of awesome cards. I LOVE yours. It has your signature layers and gorgeousness. I think I could pick one of your cards out of a police lineup! You’ve got this amazing way of putting layers together that make me sit up, take notice, and wonder why I never thought of that! Congratulations on creating a sketch that is not only gorgeous, but VERY inspiring! BEAUTIFUL! Oh my! I love, love, love your layers! I have started trying to recreate your layers because I always find them so elegant! This card is definitely no exception! Love those flowers! You did a fabulous job on the sketch and your gorgeous card! Beautiful card Narelle! I love layers and I love your sketch! Thanks for the inspiration!! Beautiful, like all of your creations! Your attention to detail is unparalleled! Terrific card! I love the dsp and colours you used. Thanks for the wonderful inspiration for the Freshly Made Sketch.